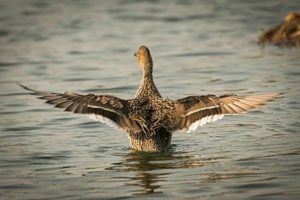 In an article for E & E News Ryan Lambert, a guide for hunters and fishermen in the Louisiana delta of the Mississippi River, said ducks don’t show up in Louisiana when farmers drain shallow wetlands in the upper midwest and Canada. Lambert says “It’s bad for our ducks, it’s bad for our fishing, it’s bad for the algae blooms and our dead zones, because now you don’t have no filtration,” he says as his black Labrador, Kenley, retrieves the fallen pintail. Lambert says he wishes federal regulators would “come down here and see the cause and effect of what they are doing” by rolling back Clean Water Act protections. A staunch conservative, Lambert feels strongly that everyone from both parties needs to protect water quality.